The Dad once told me about a cold day in April when he was leaving Bluefield. It was 1981 – the day after his father Stubby’s funeral. He pulled the car into a gas station to fill up before driving his family back 400 miles back to Cincinnati, and he came face-to-face with his pop. Stubby’s photo glanced up at him from the trash can. It was his obituary on the front page of the Bluefield Daily Telegraph. He said grief came over him in that moment. 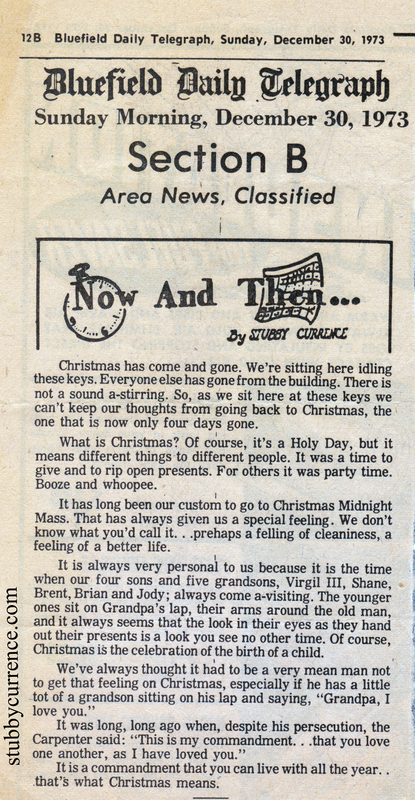 It brought it home that Stubby was literally and figuratively yesterday’s news. A family lost its patriarch. A town lost a significant champion. But sons lost their father. A wife lost her partner. Co-workers lost a friend. Unfortunately, the grief is back. We recently lost The Dad. Like many deaths, it was a long time coming but too sudden, too soon. The Dad loved to tell stories about the sports scene he grew up in. He loved reminiscing about the neighborhood baseball games in which he played while living on Pen Mar. 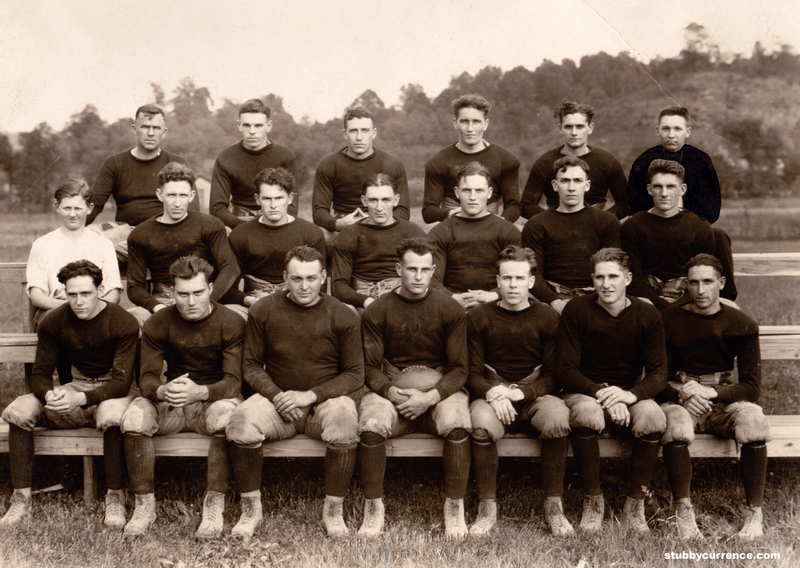 He was devoted to the 1959 Bluefield Beavers Football State Champs until the very end. He put West Virginia Mountaineers stickers on anything that wouldn’t move. Even though we don’t have The Dad anymore doesn’t mean his stories are done being told, or our stories here are over. Even though the newsprint has long been recycled, the memories are old and dusty, and those we have loved may have gone on, we still have their stories to tell. And Dad, I’ll miss you. It’s probably a little obvious I love history, but The Dad asks why I’m so interested in genealogy. He is a major history buff, but just doesn’t get the family tree stuff. 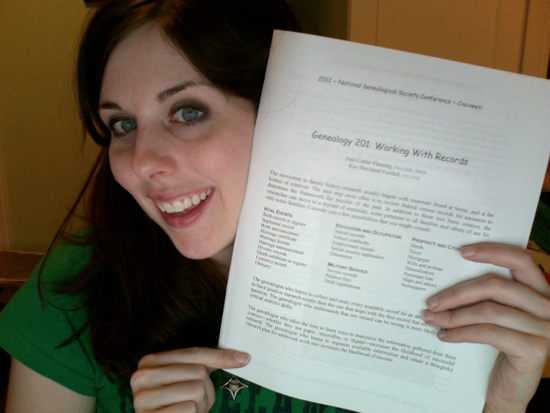 (In full nerd disclosure, I, in fact, I attended the National Genealogical Society’s Family History Conference. I can’t be blamed. It came to me. How could I resist?). 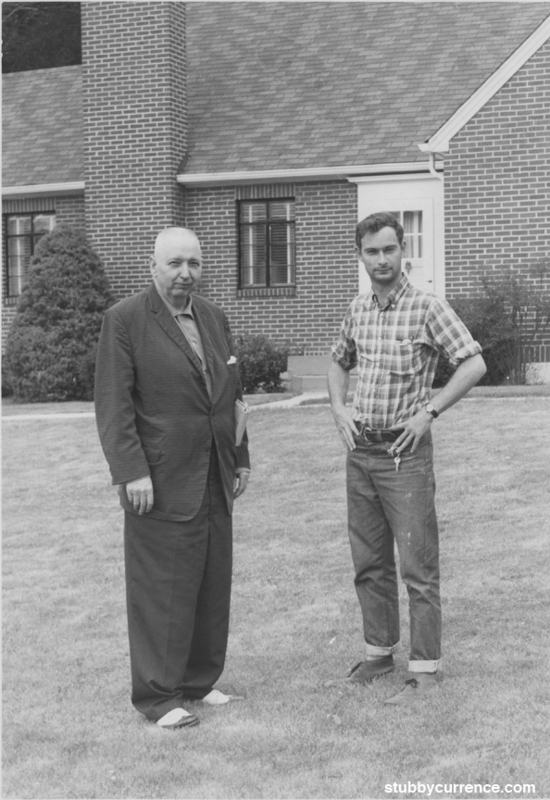 But I can say I love family history–it is a personal way the boring details of history can come alive. I rub my hands in anticipation of the West Virginia index of the 1940 Census. Oh, happy day! I heart my “Working With Records” workbook. Since we lost The Dad words ago, let’s move on. 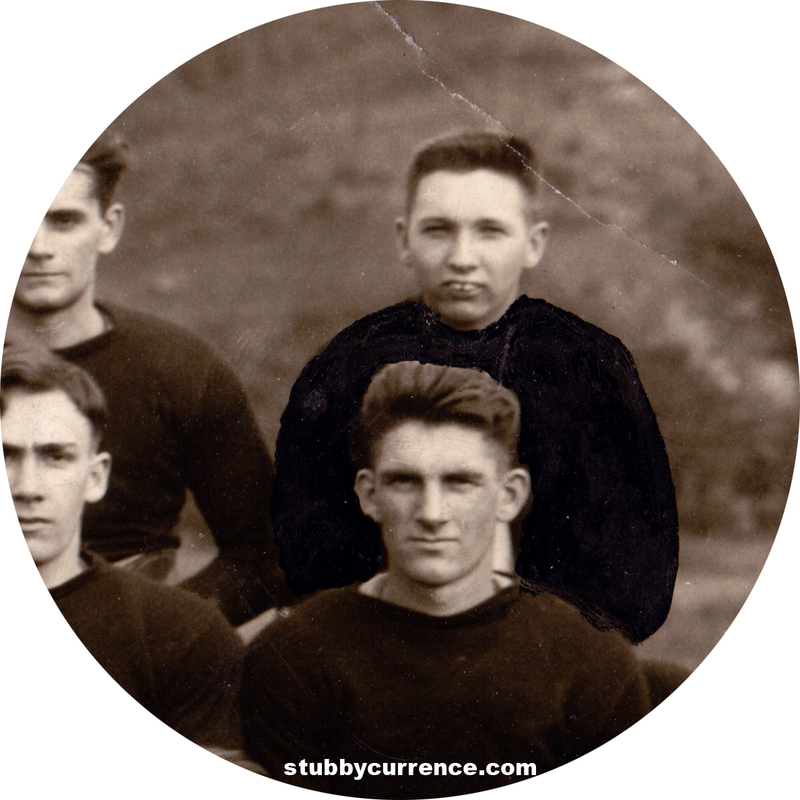 As we’ve mentioned, Stubby went by many names, including V.L. Currence. That “L” has quite the history. Lloyd is a family name from Wales and the first Lloyd in Stubby’s family came to America in 1683 when his 6th great-grandfather Thomas Lloyd moved to Philadelphia, Pennsylvania, after becoming a Quaker. Thomas Lloyd died in 1693, and the Lloyd family moved around Virginia and West Virginia. See more about Thomas Lloyd’s Wikipedia page. And more sports next week. I promised The Dad. “There’s one!” Spotting future Braves. Stubby the second from the right. Click for larger photo. Since we’re in the dead heat of July, let’s continue with the boys of summer. 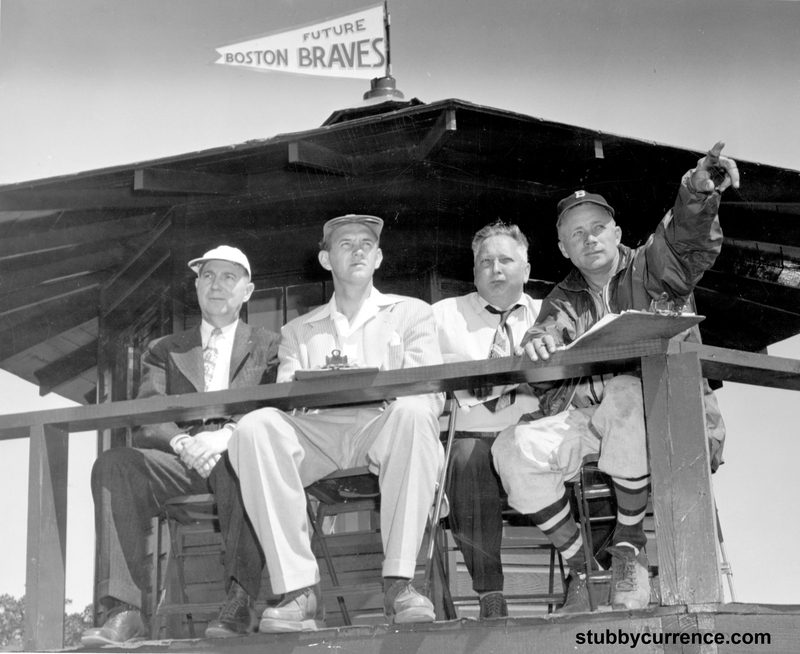 In the 1940s, Stubby was a scout for the Boston Braves, and in 1948, he attended the World Series where the Cleveland Indians ultimately beat the Braves in the 6-game series. The Braves franchise moved to Milwaukee in 1953 and then to Atlanta in 1966. Photo details: Holy publicity shot, batman! As a practitioner of the public relations arts, I can spot a staged photo at 10 paces. But I like this one. These guys are committed. Kudos on the acting job, fellas. My fav is the flag. It’s laminated to give it that perfect summer breeze stiffness. I’m not sure who else is in this photo. If you do, let me know in the comments. P.S. I’m excited to be heading to the Reds vs. Diamondbacks game tonight. The Dad says baseball was Stubby’s favorite sport, as it is mine. I’d like to think if Grandpa Stubby was around, we knock back a few cold ones and he’d regale me with tales of the Bambino and the good ole days. Nothing to Snead at. 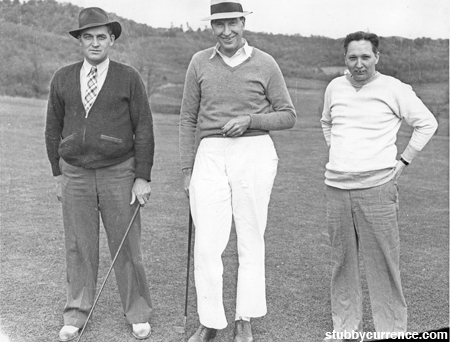 Golfing with Sam Snead (left), unknown and Stubby (right). So I broke The Dad‘s heart today when I failed to recognize who was the gentleman on the left. “That’s Sam Snead,” he said, peering over his glasses at me. I’m sure you know Slammin’ Sammy, because you know everything. He did some things and became the head pro at Greenbrier in 1944. 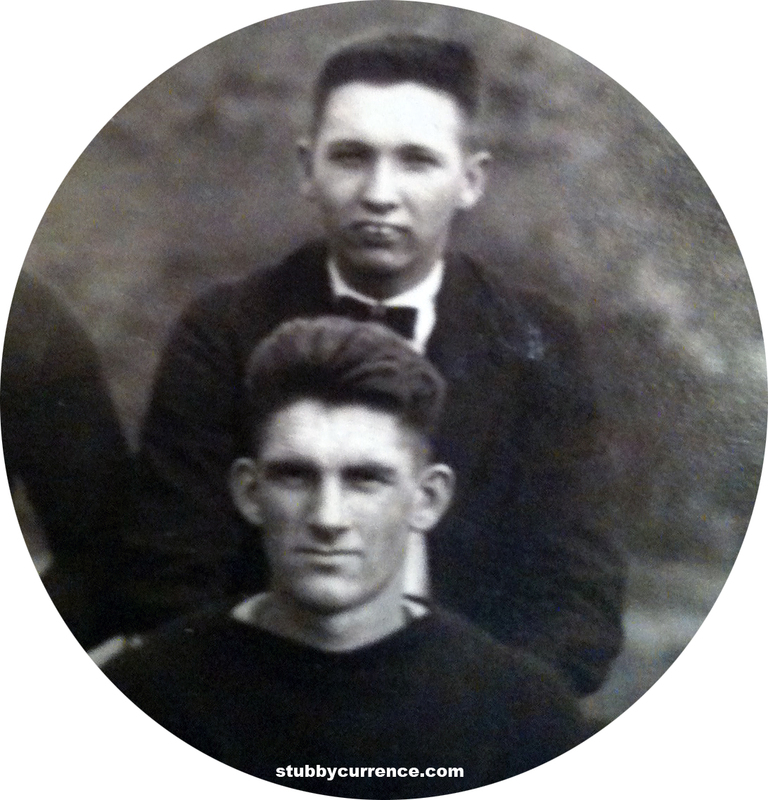 I’m not sure exactly when and where (probably Greenbrier) this photo was taken, but Stubby is younger because he still has color to his hair. Check out some more Currence Family Memories of Sam Snead. And if you know who the gentleman is in the middle, please let me know if the comments.